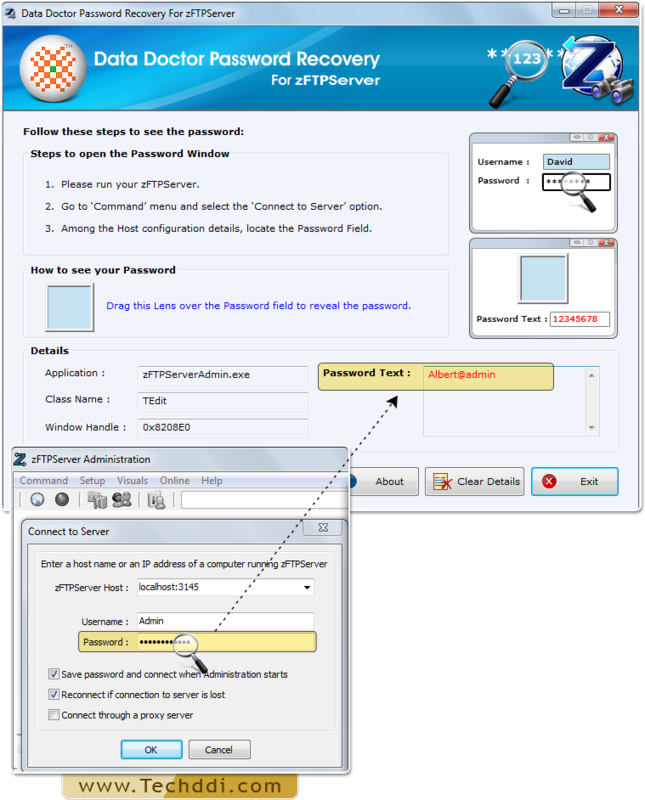 Password Recovery For zFTPServer displays misplaced and lost password from zFTPServer. Password recovery tool displays hidden asterisk (***) character and special character passwords. 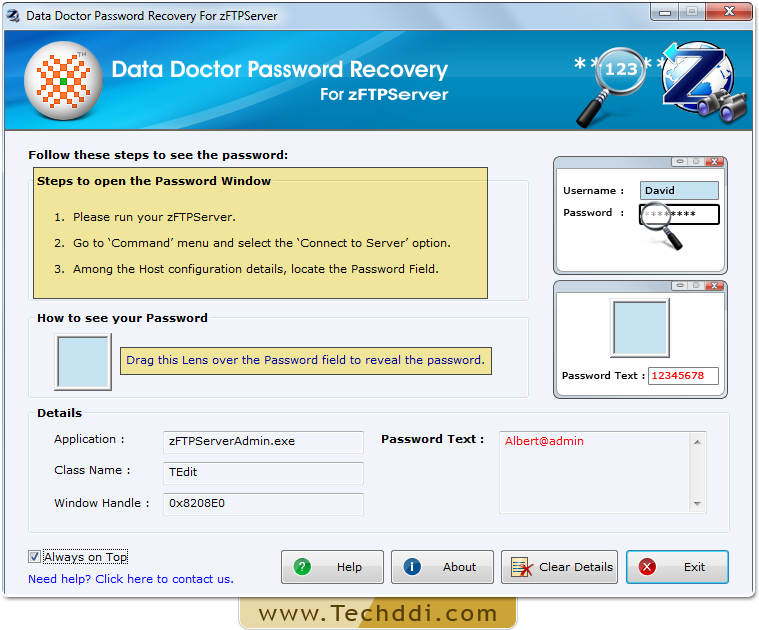 Unmasking of password with the help of Password Recovery Software For zFTPServer. Run Password Recovery For zFTPServer. 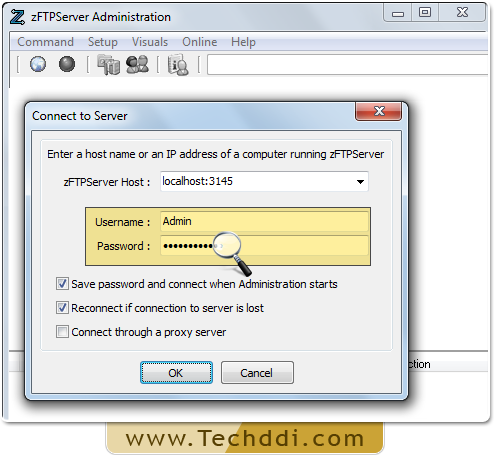 Run zFTPServer Software then Go to ‘Command’ Menu to select ‘Connect to server’ option. Among host configuration details, locate the password field. 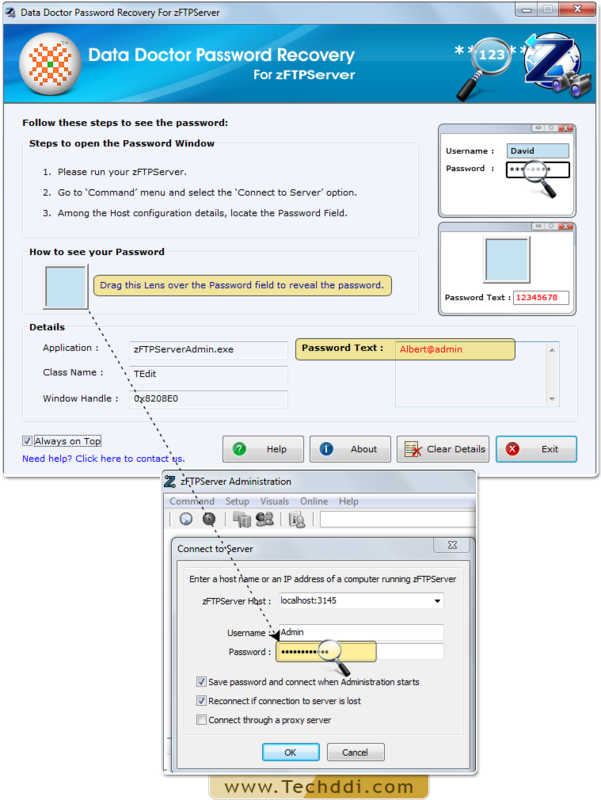 Drag lens over the password field to unmask password that will be displayed in password text field.